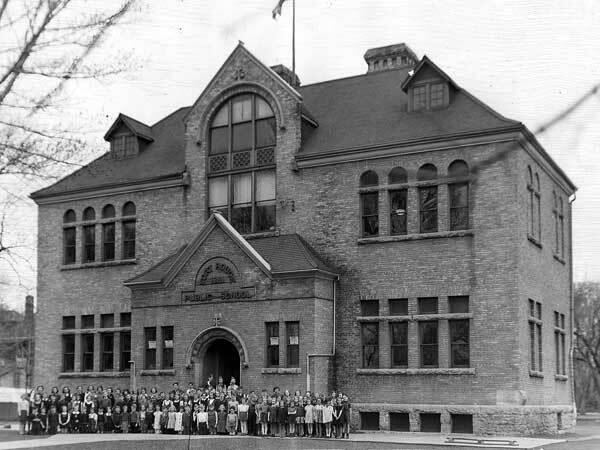 In the late 1880s, as Winnipeg’s population spilled across the Assiniboine River into the neighourhood of Fort Rouge, the need for a school became dire. 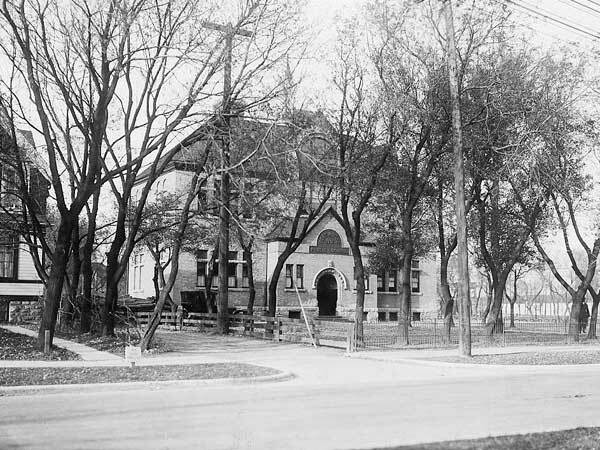 In 1890, the Winnipeg School Board purchased land on River Avenue, bounded between Mayfair and Main streets, for a new school building. Designed by architect Walter Chesterton and constructed by contractor John A. Gervin between 1890 and 1891, the two-storey, four-classroom brick structure that became Fort Rouge School was situated intentionally at one side of the property to allow space for expansion as the need arose. This expansion was never needed. The school first opened to students on 5 October 1891, with three of four classrooms immediately filled to capacity. A fourth classroom was opened soon after. Completed at a cost of $10,800, the structure was heated by wood-fueled furnaces until its eventual demolition. The original school served the community until November 1953, when a new building was erected nearby, and the old structure was demolished in August 1954. An air-tight lead container found in its cornerstone contained coins, newspapers, and other materials from 1891. Built by the L. J. Gardiner Construction Company Limited at a cost of around $43,000, the new four-classroom school was constructed over some 60 days during the summer and fall of 1953. A cornerstone laying ceremony was held on 15 September 1953, with Ward 1 Trustee Peter D. Curry conducting the honours, in the presence of Mrs. Curry, Trustee C. H. Malcolm, Commissioner of Works and Buildings W. A. Martin, Winnipeg School Board Chairman A. N. Robertson, and contractor L. J. Gardiner. The new school was opened officially on 12 March 1954. Among its noteworthy alumni were Stuart Garson and Ewart H. Morgan. 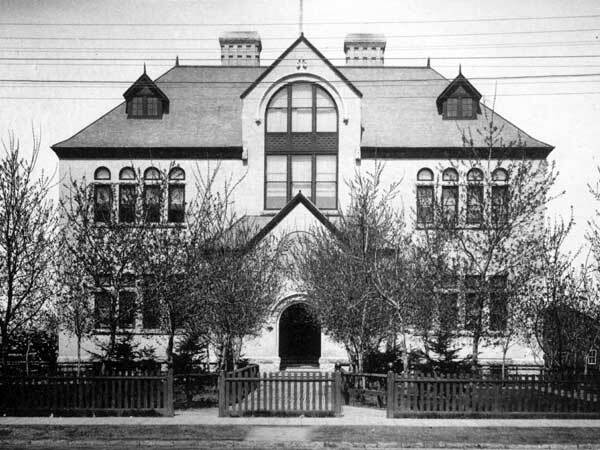 Source: Archives of Manitoba, Winnipeg - Schools - Fort Rouge #1, N13125. “Fort Rouge School,” Manitoba Morning Free Press, 6 October 1891, page 6. “Winnipeg schools, No. 9—Fort Rouge,” Manitoba Free Press, 25 October 1922, page 7. “Oil lamps, water pails only a memory at Fort Rouge” by Claire Tisdale, Winnipeg Free Press, 25 January 1949. “4-room school in Fort Rouge cost $43,000,” Winnipeg Free Press, 17 August 1953, page 3. “He may be last of the sod-busters,” Winnipeg Free Press, 3 September 1953, page 9. “[Photo caption],” Winnipeg Free Press, 19 September 1953, page 3. “Trustees to ponder probe of efficiency,” Winnipeg Free Press, 4 March 1953, page 3. “Fort Rouge reunion,” Winnipeg Free Press, 4 March 1954, page 8. “The old and the new,” Winnipeg Free Press, 9 March 1954, page 3. “Tender for demolition of a school building,” Winnipeg Free Press, 19 March 1954, page 37. “News from the past,” Winnipeg Free Press, 10 September 1954, page 32.